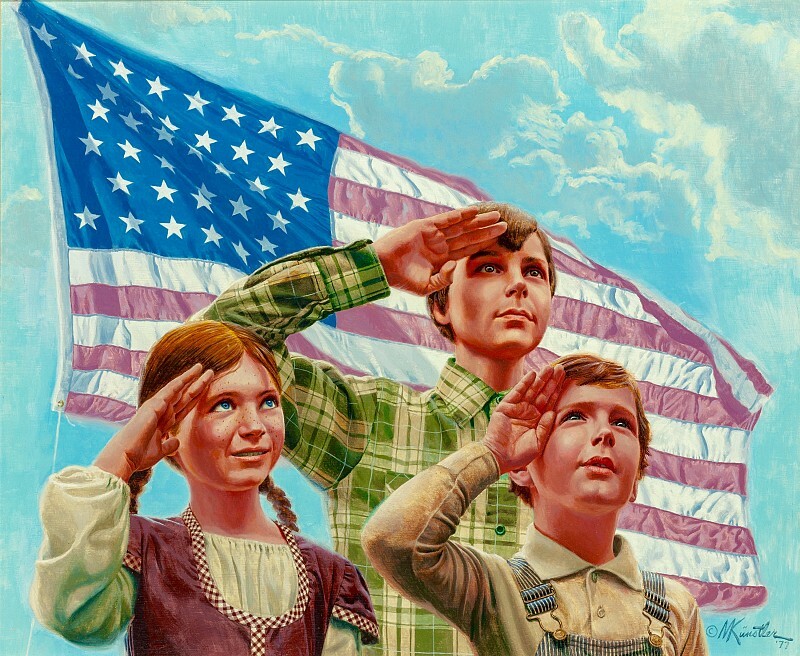 Mort Kunstler has never been swayed by the vagaries of style or technique. His approach is straightforward and painstaking. For him the challenge is in the picture concept and in solving all of the problems of research. Work with National Geographic magazine early in his career taught him the importance of accuracy, and he goes to extreme lengths to verify the authenticity of his reference material. This has been a vital necessity for his many historical recreations and for corporate clients, such as the Rockwell International Corporation, which commissioned him to do a series of paintings on the space shuttle Columbia. Kunstler was born in New York City and attended Brooklyn College and U.C.L.A. before switching to Pratt Institute for the illustration course. His early work was for the men’s magazines, and he has also been published in The Saturday Evening Post, Reader’s Digest, and Newsweek. Most of his illustration has been involved with advertising, however, and his clients have included such major corporations as General Electric, Exxon, U.S. Steel, American Cyanamid, and Texaco. Kunstler has also been painting for exhibition; Hammer Galleries have given him nine one-man shows. 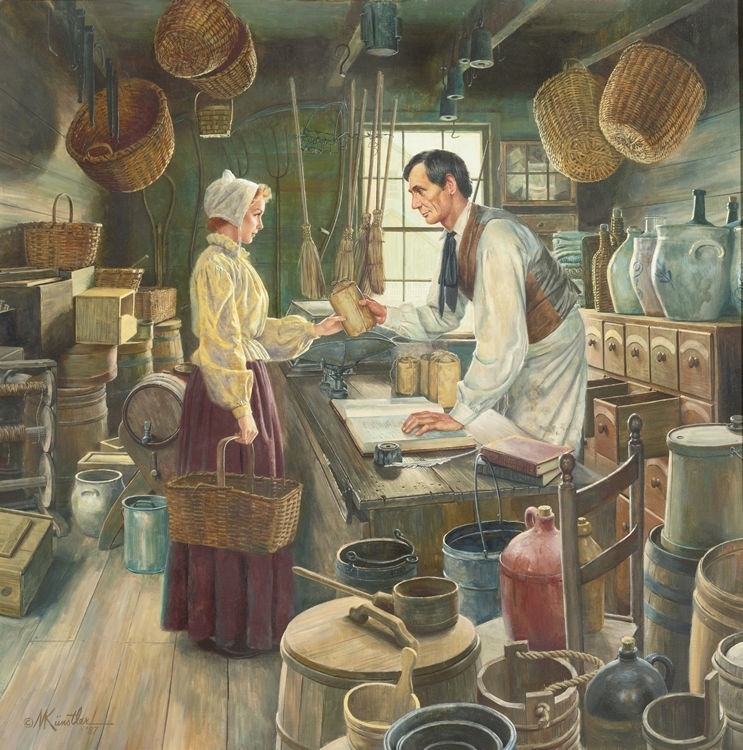 In 1982, a commission from CBS-TV to do a painting for the mini-series, “The Blue and the Gray,” initiated his interest in the Civil War. 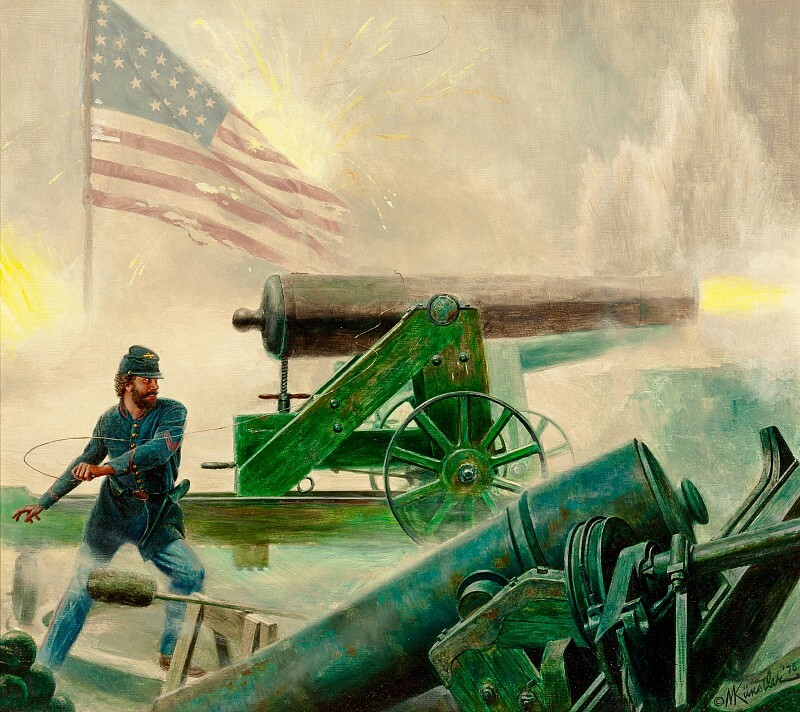 His painting, The High Water Mark, was unveiled at the Gettysburg National Military Park Museum in celebration of the 125th anniversary of the battle, and is considered the most accurate painting of the event. Since then, he has been concentrating on Civil War subject matter, and his pictures are included in many collections, among them the U.S. Air Force Museum, the Favell Museum, the U.S. Naval Academy, and the San Mateo County Historical Museum. 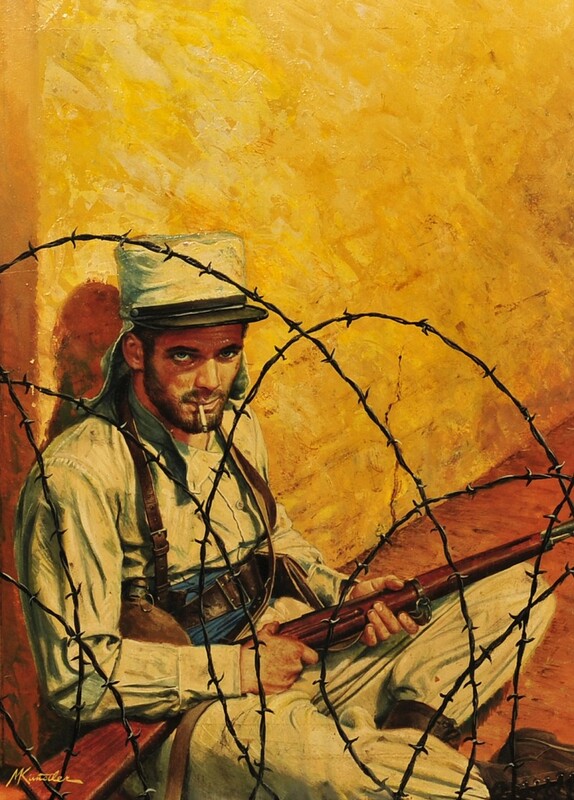 In 1986, more than 200 of Kunstler’s works were published in the book, The American Spirit – The Paintings of Mort Kunstler, with text by historian Henry Steele Commager. Images of the Civil War, The Painting of Mort Kunstler, with text by Pulitzer Prize winning author James McPherson, was published in 1992. Gettysburg – The Paintings of Mort Kunstler, also with text by James McPherson, was published by Turner Publishing as a companion piece to the epic feature film and mini-series Gettysburg. A one-hour television special, entitled Images of the Civil War – The Paintings of Mort Kunstler, was shown on the A&E network in 1993.